The first generation of our family, Arthur Mentley, received his Funeral Directing License in 1941. After years of employment under Fred Place at Place Funeral Home in Gowanda, NY, following his service in the US Navy during WWII, Arthur Mentley purchased Place Funeral Home in 1946 of which became Mentley Funeral Home, Inc.
After two decades of serving the Gowanda area, in 1967 Arthur Mentley ushered in the second generation of our family to join the business; Art's sons Terry W. Mentley and Thomas Mentley. Mentley Funeral Home Inc. continued to grow in service and in size, for in 1977, we purchased the previous building next door. In expanding, we doubled the size of our building and offered greater off-street parking with an enlarged parking lot. This expansion project is what our building stands as today at 105 E. Main Street. Our business expansion didn't cease with the building; in 1983, Mentley Funeral Home Inc. purchased the former Schaack Funeral Home, previously on Jamestown Street, in an effort to better serve our community. The communities we served continued to grow outside of Gowanda. 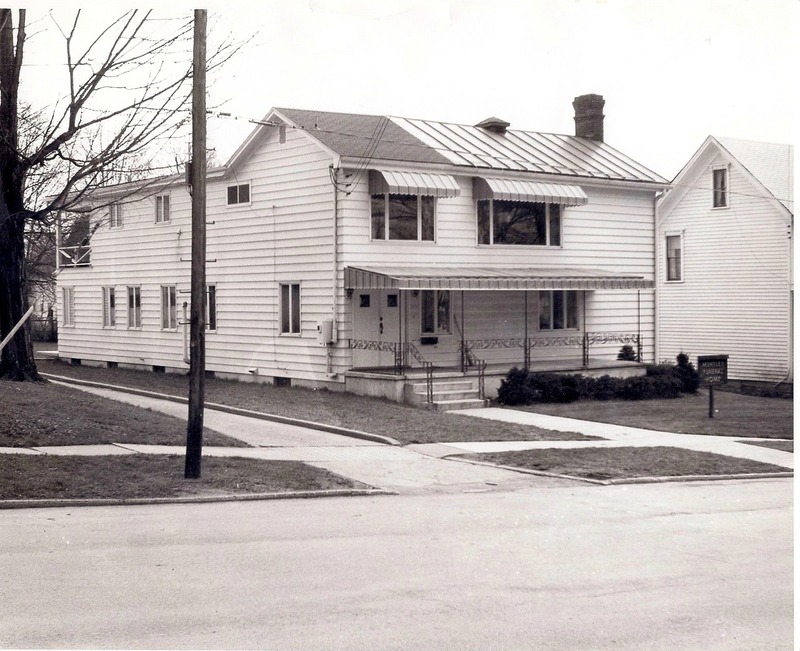 In 1966 Mentley Funeral Home Inc. added a second location in Cattaraugus, NY. Also in 1983 a third location was started in Little Valley, NY. The third generation to join the business was Timothy Mentley who was licensed in 1991 and continues to run the business today. In 1994, O'Rourke Funeral Home of Ellicottville, NY was purchased and moved to our Little Valley location. In 2015, Connor Hellwig joined Mentley Funeral Home Inc. as a licensed funeral director and with Timothy Mentley, have embraced our communities from Collins Center to Great Valley, NY. We thank all of our communities for allowing us the privilege of serving every one of the families that come in our doors. We pride ourselves in that service as we continue to strive for greater opportunities to be there for the families in need at a time of loss.